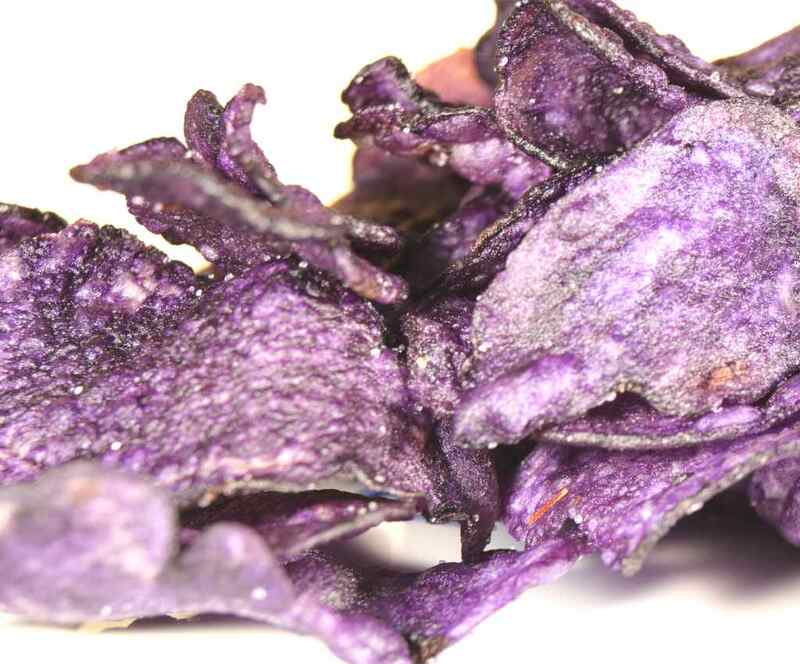 The purple Vitelotte noire, or black vitelotte, isn’t only reputed for its striking violet flesh, but also for the delicious particular taste it shares when cooked. Harvest – from June to November depending on the variety. The Vitelotte potato loves growing in light, well drained and deep soil. It rots in case of excess moisture and needs sun to develop well. Planting the black vitelotte potato is easy, especially since it doesn’t depend on the climate zone you live in. Wait for mid-March in mild climates and beginning of April everywhere else before starting planting. In the south of France or near the Atlantic coast, some can even start mid-February, but it is wise to provide for cover such as cold frames or tunnel greenhouses in case frost spells hit. Your garden earth must be well softened before planting to make the soil as light as you can. Till the earth to a depth of around 1 foot (30 cm). We recommend planting “certified germinating” tubers from March to June. Wait for the tubers to have begun germinating before setting them in place. Place the Vitelotte tuber vertically, ensuring that the sprout faces upward. Space tubers around 1 1/3rd feet (30 to 40 cm) apart, and bury them at a depth of 4 to 6 inches (10 to 15 cm). At planting time, after having dug your rows to a depth of 4 to 6 inches (10 to 15 cm), place your tubers and cover them with the finest possible earth. If you’re planting several rows, space each row around 2 to 2½ feet (60 to 70 cm)apart. When all plants reach a height anywhere from 8 to 10 inches (20 to 25 cm), ridge their base with light soil. Ridging means to build up a small mound at the base of the potato plant stems in order to secure the plant to the soil, protect it from wind, and let it grow at its best. Water every evening when it is hot and you see the leaves wilting. In order to remove any risk of the ground being too dry, it is recommended to mulch the base of the potato stems. The harvest is best towards the end of summer, once the foliage has dried off and died somewhat. It is indeed useless to harvest potatoes before the foliage turns completely yellow. This phase of yellowing is key to signaling that harvesting is imminent. But it also signals that there should be no further delay because a completely desiccated foliage means that you have waited too long. Dig the tubers out carefully so that you don’t wound them. Once harvested, keep your Vitelottes in the dark in a cool, dry and ventilated place. Scour the plants from time to time and twist buds off during the entire keeping. Aphids – leaves lose their original color and roll themselves into cylinders. Blight – Leaves are covered in white felt and wither away. Colorado potato beetle – Leaves are covered in white felt and wither away. The black vitelotte is also called the Chinese truffle for its distinctive black color. 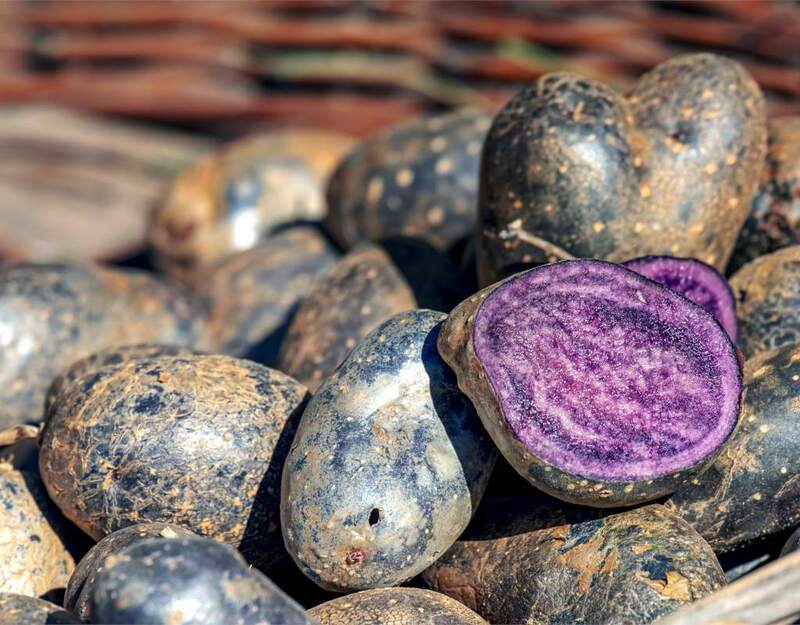 These days it isn’t grown as widely as it once was, but this heirloom variety is nonetheless making a comeback both for its unique color and for its appealing taste. The Vitelotte potato is said to be an amazing antioxidant. 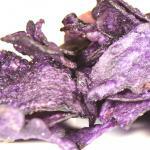 Make delicious chips or crisps out of them, you’ll be surprising your guests with an out-of-this-world appetizer!